It’s important to introduce your child to their oral hygiene as soon as they develop baby teeth. Bringing them in at such an early stage will allow us to go through the finer details in regards to diet, milk bottles, sugar intake, moving to solids, thumb sucking, and general oral health tips. When your baby becomes a toddler, we allow them to explore the equipment on their visit to the clinic. This helps them maintain healthy teeth and also creates good memories and a friendly relationship with their kids’ dentist. We provide a range of services for children, which we will now explore further. We recommend bringing your child in every 6 months to perform a professional scale and clean. In these check-ups, we assess their gums and surrounding tissue to detect any problems while they are still in the early stages, helping us in terms of prevention. You’ve heard it before: prevention is better than a cure. Dental sealants are part of a range of preventative dental treatments that our professionals offer. It is a kind of coat that is applied on the occlusal (chewing) surface of the tooth that protects the tooth from decay. 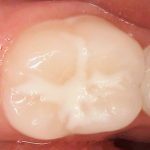 The anatomy of our premolars and molars consist of fissures and grooves; the fissures can be very deep, making our teeth prone to decay. Tooth fillings are made from a range of materials that help to restore teeth and protect the mouth from further decay. Children are not immune to needing fillings. The team at Comfy Dental offers both composite fillings and porcelain fillings to suit your child’s individual needs. 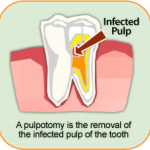 Pulpotomy is a dental procedure that is necessary when the nerve of the baby tooth is inflamed so we can prevent any abscess or loss of teeth. This procedure creates access to the pulp chamber of the baby tooth so we can remove the inflamed pulp, disinfect and clean the tooth with medication, and then place a filling on the top. Tooth extractions are necessary when a tooth is broken, damaged beyond repair or very loose. Children often need extractions to prevent overcrowding and to ensure their adult teeth have enough space to grow in. 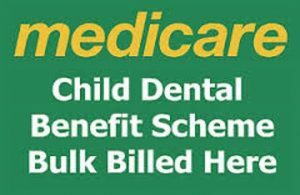 Did you know that we bulk bill eligible children for Children Dental Benefits Scheme (CDBS) click here to check eligibility or call us know 95828687 and we can check for you! Where Is a Children’s Dentist Near Me? Comfy Dental is a caring, comfortable place for your children to begin their lifelong relationship with oral health. You can find our paediatric dentist and friendly dental assistants in Mandurah. Call us on (08) 9582 8687 to make your child’s first appointment. Alternatively, contact us online to make an enquiry.